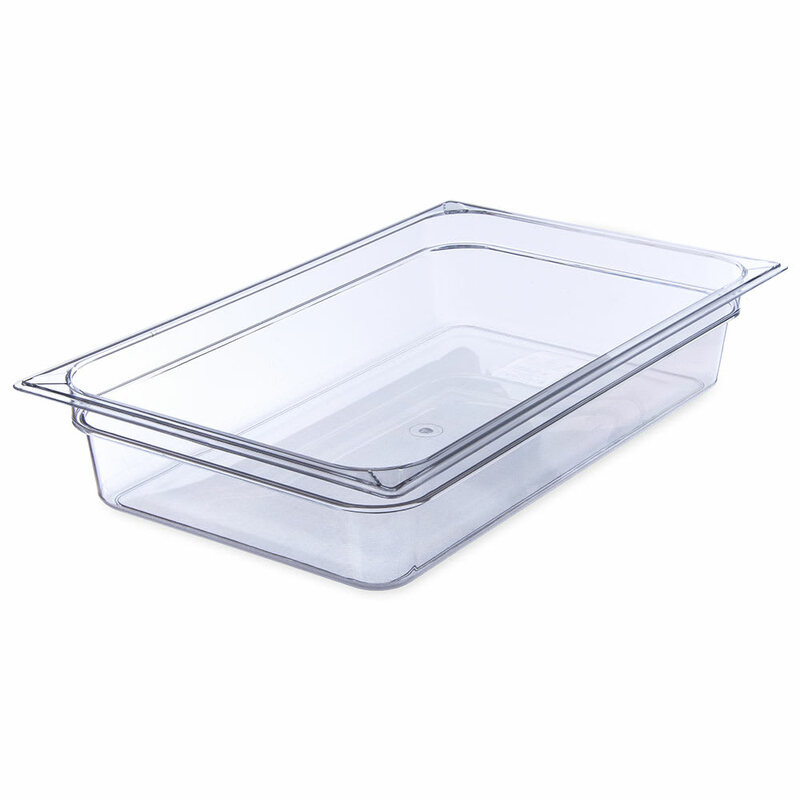 The Carlisle 10201B07 StorPlus™ full-size food pan is made of clear polycarbonate to withstand tough use. It has a reinforced top and bottom to provide structure and prevent cracking and chipping. Its smooth interior facilitates cleaning and resists food oil and acid damage. To reduce scratches and spills, it has a textured, non-slip finish, while capacity indicators shown in quarts and liters are molded into the pan. The Carlisle 10201B07 full-size food pan can be stacked to maximize space. Visit our food pans buyers’ guide to learn more about these products.